So! 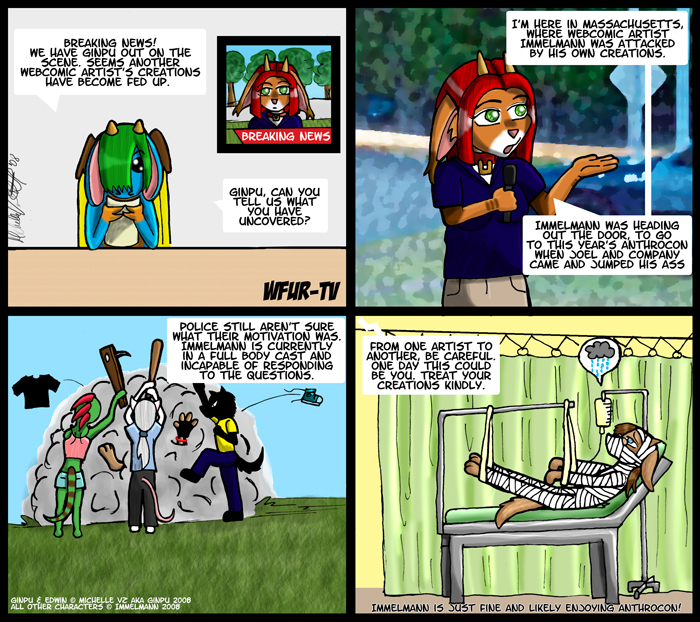 My last comic before AnthroCon. I've already got one guest comic ready to go up, sure hope I get a second. If you're attending AC, be sure to keep an eye on my LiveJournal for updates as to where Concession fans are meeting. Edit! Forgot to tell you all that there's a new little thing to read in Chronicles. Go read it. Go!